I'd like to help if I can. Here are some picks off a Black Friday flier I found for a TRUS near me. Check with your local ad and make sure you note the timing of these deals. Some are for Wednesday, or Thursday, or Friday and many are for specific time blocks only. 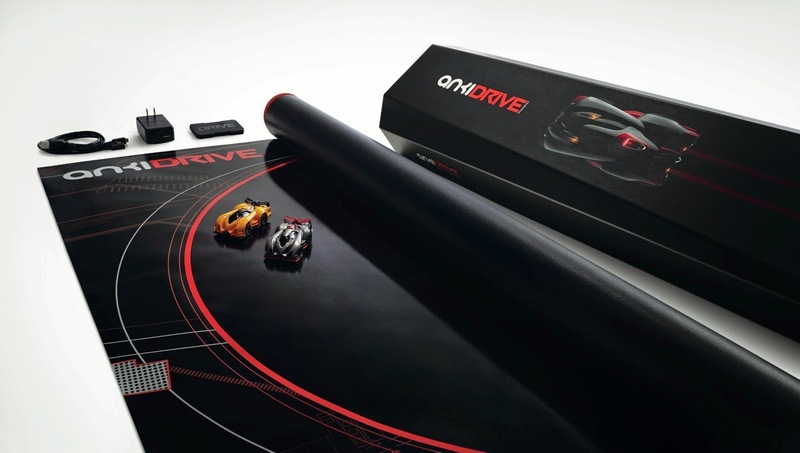 Anki Drive at $99 is definitely a good deal. This means you get two race cars (and you will always need two) This game, for those of you who don't know it is about racing and shooting down your opponent but there is no blood or guns, just points, lights, and sounds. Even though this is a racing game, it's more about taking down your opponent. It is easy to drive so those who can't drive Super Mario Kart can drive this but you will need an iphone/ipad... I don't think they are on Android yet. I wrote about them here at my blog at Forbes.com. I am still testing it out how to figure out how one becomes better at this game if you are losing for something special for playdates, this could be the one. When I last looked, something very similar was for sale at Amazon for just three dollars more but you wouldn't be saving much if you didn't have Amazon Prime. I like the game Bounce Off but I think it costs maybe two dollars more when it is not on sale? However, the larger Bounce Off which I have not tried appears to be exclusive to Toys R Us but I have no idea if that will be on sale. Rock Em Sock Em Robots looks cool but I've never tried it. This is my review of Bounce Off. Okay, I like and have the Draw Something. It has a nice feel to it. Count on losing the tiny pieces to help you keep score. Still anything like Draw Something is a good game. But, in my neighborhood Toys R Us, it is selling for $4 right now. So one dollar off is hardly a doorbuster in my book. This is selling for $50 now and when I went to my local Babies R Us, I saw them piled up in columns as if they are getting ready to roll these out! I actually used this highchair. It was great! What I loved is that I was able to use it for those first months when they are transitioning to solid food but then, when they get to be more involved with feeding themselves and getting up and down into their own chair, I prefer the Stokke or Svan- I've had both (all used or hand-me-downs) The wooden chairs are great for 18 Months + but when they are really little, something like this chair is nice and snug. Toys 'R Us is not the only ones doing this deal. I am pretty sure Radio Shack is too. Please double check everything! $25 for the large one? That is worth busting some doors. One thing to make sure of... if you think you'll be expanding, make sure that the same size bin will be at your disposal, otherwise head over to Michaels and try to get this scrapbooking cart on sale. I think this helicopter is being retired at LEGO this year. It looks lovely, doesn't it? But $35 isn't exactly a clearance price. Maybe you'll spot it at a LEGO store for $25 if you are lucky. Super Mario Chess? I have seen this being sold for as high as $35 or $40! I think this set is very nice. If you are a Super Mario Bros fan, you will enjoy playing with the pieces, possibly more than you like playing chess. And you may noticed that getting Mario action figures is not exactly easy. It's two products (big products) in one. I have no clue if this is a good deal but so far, I have seen Toys R Us being competitive with Amazon when it comes to this line of toys. What is really interesting is that the most effective way to get the kids off Minecraft is to give them Minecraft toys. It's very cool. Quality is good for a plastic toy. I like the smooth feel of the plastic. Clearly, this must be on a therapist's wish list. Don't forget to pick up a couple of packs if you are there. But obviously, this should not motivate you to bust any doors. I love school bus toys! Enough said. I think the schoolbus is a good deal. I might just buy two. These are great gifts. Although, if you are looking for a school bus for younger kids then try this one from WOW toys. Front windscreen opens, tailgate can be opened too, and is a shape sorter too. 1- Remember TRUS has a price-match guarantee. I hope they will honor that on Black Friday too. Please note that in-store prices may be higher than online prices but they will price-match most of their online prices. Read the guarantee VERY carefully, print it out, and BRING it with you. I find that employees often misunderstand the rules. And be forgiving as many will be seasonal workers. 2- Before you go, tally up your possible savings. Take into consideration that you may not get all these things. After you get your final amount, think about that amount vs. the amount of time you'll spend ( precious hours sleeping or spending with the fam possibly?). If it's worth it then get out there and win! 3- Check out their Speedy Checkout, I am wondering how much time you would actually save.... But perhaps it can help you scan the prices of stuff to make sure the price you get is the price you think it is supposed to be. 5- Free store pickup might save you time but possibly not if it is a busy season. You may have to wait on line while that one person goes to scan your code and then fetch your stuff,one at a time. I find that employees prefer you print out your receipt. If you are lucky, you might have organized people running your local Toys R Us (go Long Island City! Woo-hoo! I really like the Toys R Us employees in my neighborhood. I think there was a time when they didn't have what I was supposed to get from Store PickUp and so they gave me something similar but more expensive for the same price.) But beware, sometimes, you may end up going to pick up something at another Toys R Us branch. I did that and I was going to scream that day. Happy Thanksgiving "Week" to everyone! Remember a great deal not only saves you money but saves you time as well. So I am still trying to figure out what skills are being utilized here. I do see that strategy is important. It is hard to tell how to get better at driving. It seems like it can corner the tracks even when I don't pay attention to steering. That can be good news if you are playing with someone who can't even play Mario Kart. that would be me.... But it's hard to figure out how to get good at this game. I feel like this is a great game for dad and child, grandparents and child. Driving doesn't seem too hard but getting better is. Starter kit means you get two cars. So you and A.I. can play or you and someone else can play. Someone can have his own car and bring it over to play. A child will never need more than two cars. The extra cost to be concerned about is having to buy more tracks rather than cars. The cars are more for collecting and having variety. But it is all expensive. If you are not sure, you can always buy it and return it as you sit on the deal..I did that once.